Speed of construction was important to Jantzen and he managed to build the new home in only four weeks. 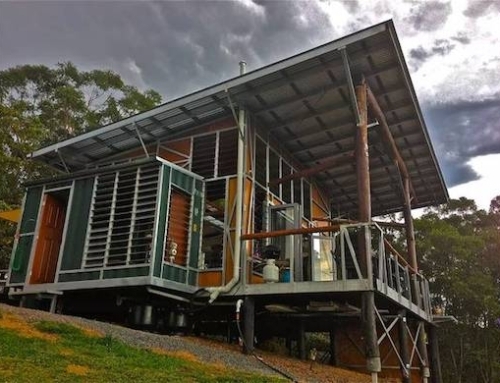 Another reason for his decision to expand the home using shipping containers was cost. 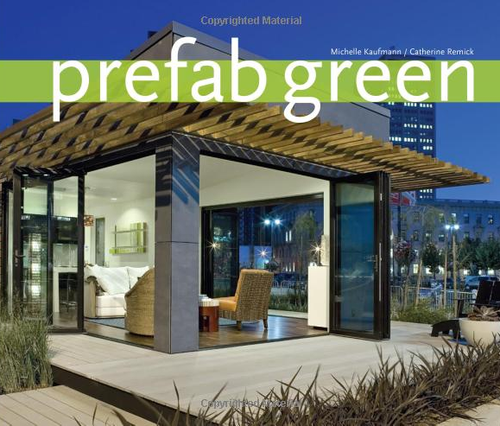 Shipping container homes cost roughly $100 to $150 per square foot to construct, which is much cheaper than alternative construction options. Jantzen, who is the principal of the Studio Jantzen architecture firm in Los Angeles, combined several of the firm’s existing designs to create his home. The building fell to Eric Engheben of 44 West Construction. 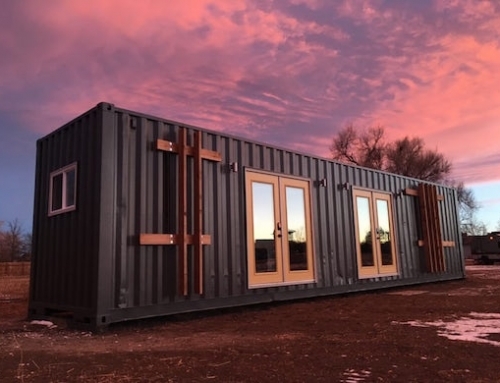 This is not the first container structure that Jantzen has completed, as he also completed a poolhouse in Brentwood, California, a desert container house, and an 18-container, 2,400-square-foot house in Topanga. 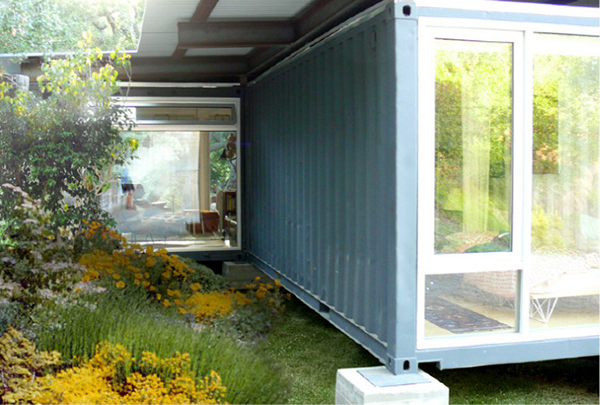 Jantzen purchased the five shipping containers in Long Beach, California where they were also modified prior to transport to the building site. The edges and inner housings of the containers were laser cut to allow the five of them to be assembled together. 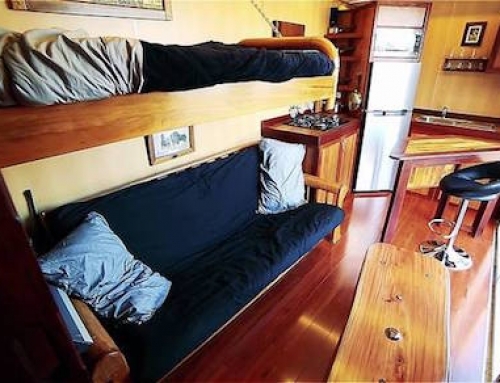 The container seams were welded together, and the walls and ceilings were furred with rigid insulation and finished using plywood. 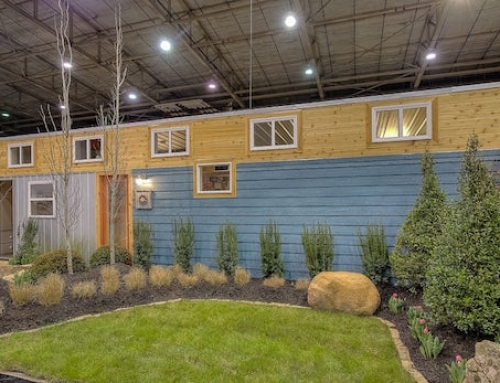 On site, Jantzen first gutted the existing cottage, and installed a new kitchen and bathroom inside it, before he added the shipping containers to it. 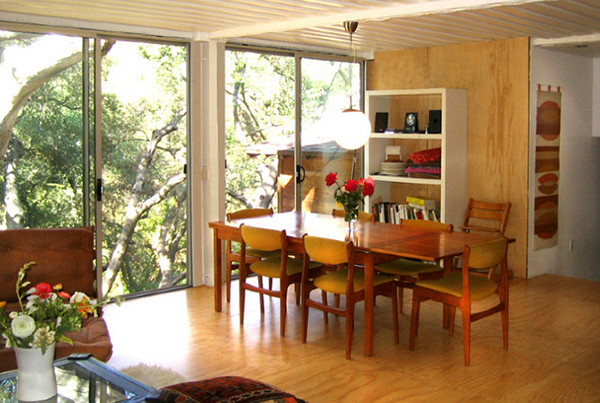 The main living area and bedrooms are all located in the shipping container part of the house. Covering the entire residence is a single-span, corrugated metal roof with site-welded tubes mounted atop the edges of the containers. 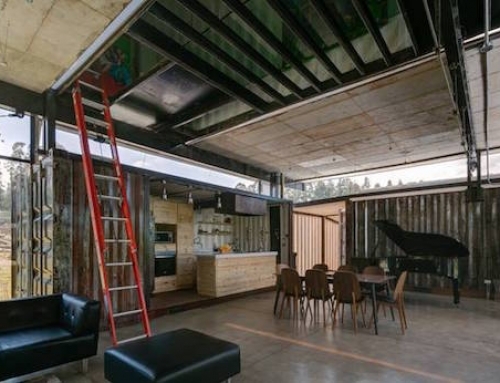 The roof also hangs over the cottage part of the home, thus creating unity in the design, while it also provides a covered patio area in front of the home. 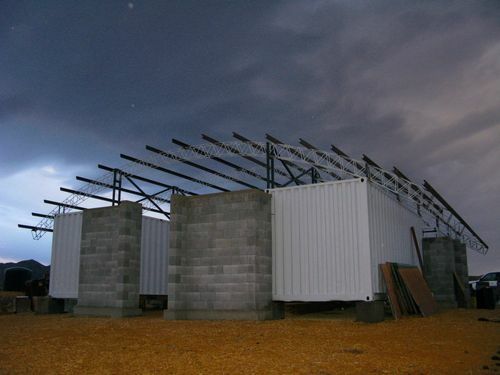 Furthermore, it offers protection from the rain and wind, while the interstitial space provides cross-ventilation meant to mitigate convection heating within the containers. Large floor to ceiling windows were fitted into the docking ends of the containers to allow the maximum amount of natural light into the structure. 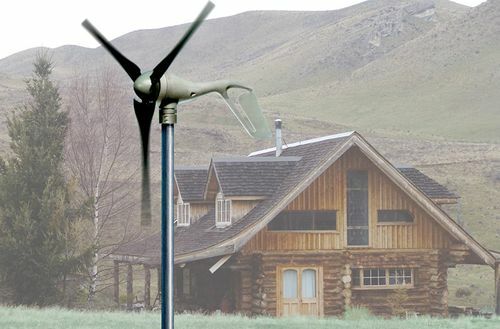 All the windows are also fully operable to aid in the cross-ventilation of the home. 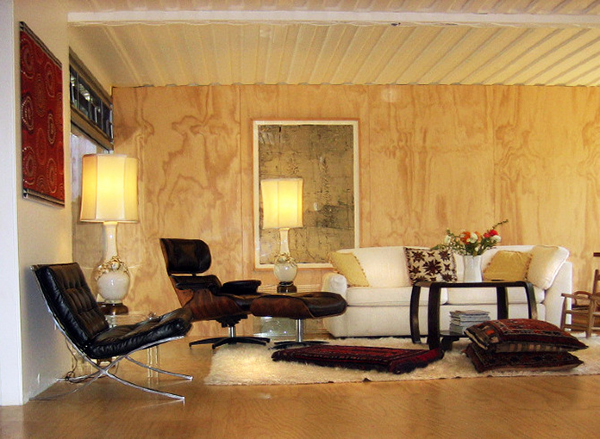 To reduce the amount of electrical lighting needed, all the interior surfaces of the shipping containers are painted in light colors. 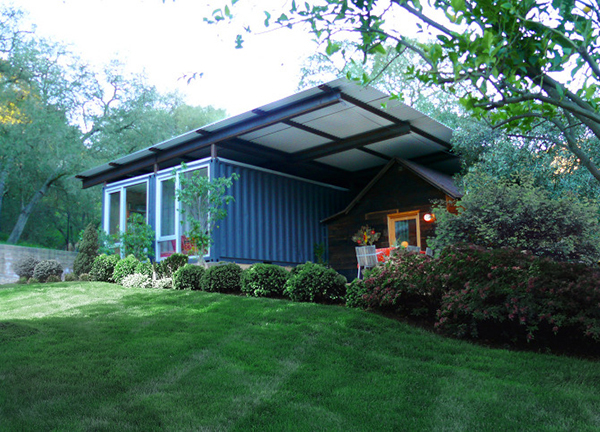 I love the concept of joined containers with a single unifying roof design/structure. I think this is very nicely executed, though the aesthetic choice of joining the original cottage with the container construction is a personal decision. I am very interested in knowing more about the technical details and structural reinforcement requirements of cutting out major container wall sections, and joining containers. Does anyone know where I can find this type of information? FABulous. 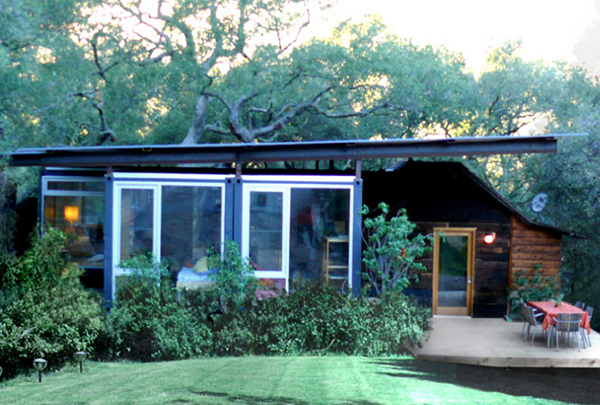 Love the plywood walls, and the existing cottage lends a charming air.